Autumn (fall) colours on trees at base of cliffs on the Rangitikei River near Mangaweka. Rocks and stones on river bed. 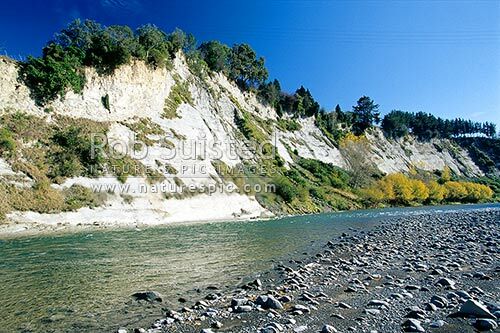 NOTE: Telephone wires visible, Mangaweka, Rangitikei District, Manawatu-Wanganui Region, New Zealand (NZ), stock photo.